Every donation directly contributes to the growth of the local food accessibility movement. Each gift creates more urban farms, supports school programs, & mobilizes educational events led by our farmers. Every community deserves food accessibility. 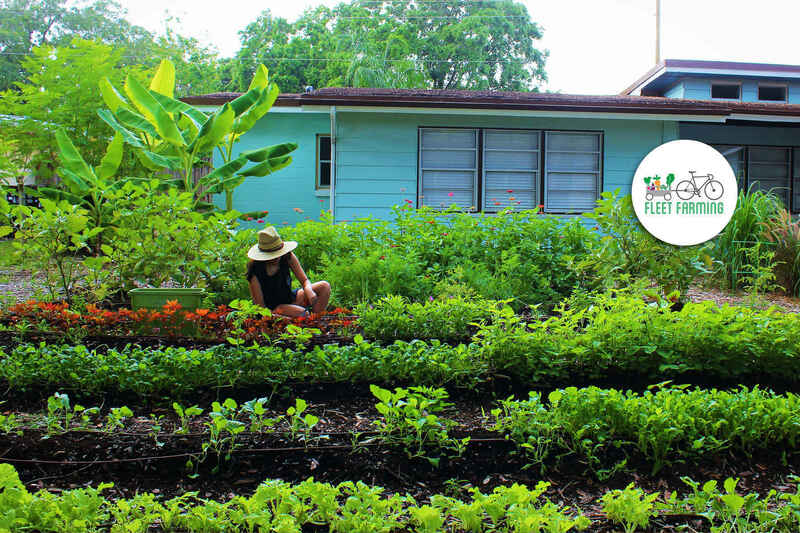 As a program of IDEAS For Us, Fleet Farming is dedicated to growing food and educating the generation of farmers through free community events. Be the change by helping connect a community to healthy food. Thank you Lee Perry for joining us for CityWorks(X)po Florida! Awesome Idea!! I wish someday we can do something like that here in Spain!! Congrats! Thanks for the garden consultation! cant wait to start growing. Calderon family ❤️ Fleet Farming! Anyone who is teaching and involving a community in gardening in order to feed and nurture themselves deserves my support! Couldn’t make it tonight but I hope it’s a blast!!! I love the work you are doing. You are changing the community for the better in several ways. Let's keep it GROWING! Education! You are doing great Fleet Farming. I really like this idea. I want to bring this to Kentucky! Thank you, Grant, for the edible landscape consultation! I look forward to working with you guys. I am beyond excited to have my own little farm. Thank you for this incredible service!